The Eleventh Circuit Court of Appeals in Atlanta recently overturned a lower court’s dismissal of a website accessibility lawsuit against Dunkin’ Donuts, allowing the case to proceed to trial. The decision will likely make it easier for plaintiffs in Florida, Georgia, and Alabama to bring web accessibility lawsuits under Title III of the Americans with Disabilities Act (ADA), while making it more difficult for businesses with physical locations to have those lawsuits dismissed. The case, Haynes v. Dunkin’ Donuts LLC, was filed in May 2017 by Dennis Haynes, who is blind and uses the JAWS screen reader to access the internet. In his complaint, Haynes alleged that he was unable to access the Dunkin’ Donuts website to search for store locations or purchase a prepaid, reloadable Dunkin’ Donuts Card for in-store purchases. This, Haynes claimed, violated Title III of the Americans with Disabilities Act, which prohibits discrimination against individuals with disabilities by places of public accommodation. 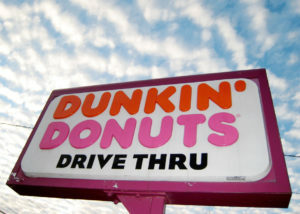 In December 2017, Dunkin’ Donuts moved to dismiss Haynes’ lawsuit. While Dunkin’ Donuts acknowledged its physical stores were covered under the ADA, it argued that Haynes had not demonstrated a sufficient nexus between its website and Dunkin’ Donuts stores. Judge William P. Dimitrouleas agreed, dismissing Haynes’ lawsuit in January 2018. According to Judge Dimitrouleas, the inaccessibility of the website did not deny Haynes access to Dunkin’ Donuts’ physical stores. Judge Dimitrouleas reasoned that if Haynes could use a credit card, debit card, “or other non-cash methods of payment” to purchase a prepaid Dunkin’ Donuts card online, he could have used those same forms of payment at any physical Dunkin’ Donuts location. Judge Dimitrouleas further argued that if listing store hours and locations online was sufficient for a website to be covered by Title III, then the ADA would apply to nearly all business sites. Haynes appealed Judge Dimitrouleas’s order to the Eleventh Circuit Court of Appeals, which reversed the dismissal in an unpublished decision. Appellate court decisions in web accessibility cases have been quite rare, though this is the second decision web accessibility decision by the Eleventh Circuit in as many months. In June, the Eleventh Circuit ruled that Haynes’ separate lawsuit against restaurant chain Hooters was not barred by Hooters’ prior settlement with a third party. Unlike the Hooters decision, however, the Eleventh Circuit opted not to “publish” its decision in Dunkin’ Donuts, meaning it may not be binding on future cases. Unpublished decisions, which are not printed in the Federal Reporter, but are made available online, have limited precedential value, and are often used by appellate courts in areas where the law is still developing. By choosing not to publish the Dunkin’ Donuts decision, the Eleventh Circuit leaves room for a different outcome in a later case, such as the Gil v. Winn Dixie Stores, Inc. appeal that is currently pending. The Dunkin’ Donuts decision is also limited by the fact that it was an appeal on a motion to dismiss, rather than a final decision on the merits. In a motion to dismiss, the court is required to view all allegations in the complaint in the light most favorable to the defendant. The Eleventh Circuit’s decision was thus a recognition that Dunkin’ Donuts’ website could violate the ADA, not that it did. That is cold comfort, however, for businesses hoping to escape web accessibility lawsuits at minimal cost. Instead, it is looking more and more like the best way to avoid the costs of a lawsuit is to be proactive in making your website and other digital assets accessible.